If you or a family member suffers from allergies, you may be tempted to remove the carpets from your home. 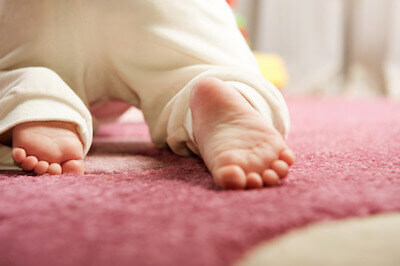 Some carpeting can trigger allergic reactions. But if you love carpet for its warmth and softness, there are choices for you. Even though hypoallergenic carpeting won’t entirely eliminate allergens, it will reduce the number of annoying allergens in the air that can trigger your allergic reactions. Nylon and olefin carpets resist dirt, moisture, and mildew more than other types of fibers, making them a good flooring option for allergy sufferers. You can also look for natural fibers such as wool, or synthetic fibers such as polyester and Triexta. Look for short, tightly woven strands that have less space for allergens to become trapped. You can also check the labels on carpet samples to find the best hypoallergenic options. Volatile organic compounds (VOCs) are carbon-based chemicals that easily evaporate at room temperature. Some carpet fibers, padding options, and adhesives used in new carpet installation may contain VOCs, which can trigger allergic reactions, ranging from headaches to respiratory irritations. Look for carpeting, pads, and installation products with a Green Label to ensure you are purchasing the lowest VOC emitting products available. When bringing in new carpeting, take extra precautions before the installation process. Have the installer unroll and air out new carpet in a well-vented space. It’s also best for allergy-prone persons to leave the home during installation and immediately following the process. Open the windows and allow fresh air to flow in to remove particles. Then clean your carpet on a regular basis. Vacuum in high-traffic areas daily do remove potential problems. Acquire professional cleaning services at least once a year to further remove problems from the fibers. You should also take precautions not to allow particles to be tracked onto your carpets: place mats by the door and adopt a shoe-off policy before people enter your home.